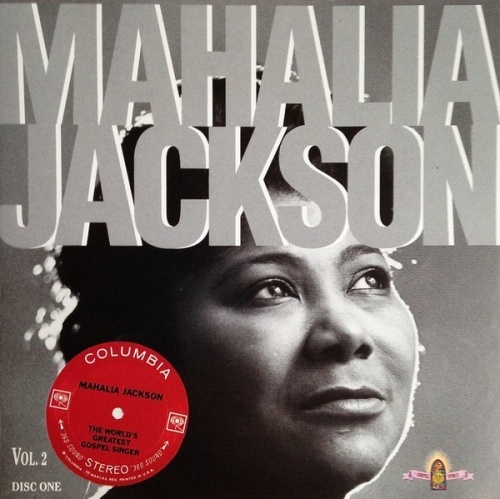 The companion to the first double-disc Gospels, Spirituals, & Hymns is an equally compelling, masterful collection of Mahalia Jackson recordings, comprised of 36 songs (including five live tracks) recorded between 1954 and 1969. Both volumes, then, come as close as possible to being the definitive Mahalia Jackson collection. Listening to these recordings is like taking a class in American music history -- Louisiana-born Mahalia Jackson became gospel music's world ambassador, and one can't help but hear traces of rock, doo wop, soul, and blues in these recordings. Highlights include the masterful "How I Got Over," the soaring "How Great Thou Art," and "The Love of God," the gentle "God Is So Good (To Me)," "When I Wake Up in Glory," the hand-clappin' "When the Saints Go Marching In," her earth-shattering medley of "Summertime" and "Sometimes I Feel Like a Motherless Child," and her incomparable live rendition of "The Lord's Prayer." This stellar set is a must for any fan of Mahalia Jackson, gospel music, or, for that matter, good, compelling, soul-stirring music, period.